Universal pictures have released the first trailer for Roger Donaldson’s upcoming film, McLaren. Coming to theaters in 2017, McLaren is the story of one of New Zealand’s most treasured sons and the father of a British motor racing empire. 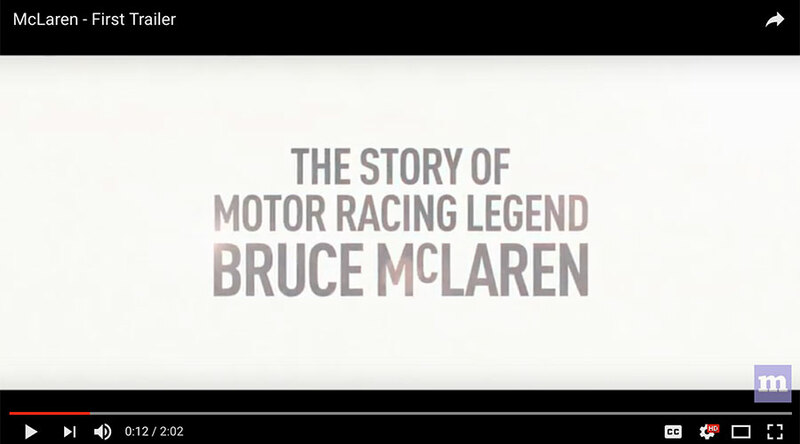 Produced by Matthew Metcalfe and Fraser Brown, the film features contributions from Emerson Fittipaldi, Alastair Caldwell, Chris Amon, Howden Ganley, Mario Andretti, Dan Gurney, Lothar Motshchenbacher and Sir Jackie Stewart and unprecedented access to the McLaren family and archives.